This weekend was a special occasion, because my little sister, Lauren, came to visit! She goes to school in Tallahassee, and I knew it had definitely been a while since she had a home-cooked meal. She had one request for the menu- zucchini! I knew I didn’t want to just saute it, so I decided to attempt an au gratin. 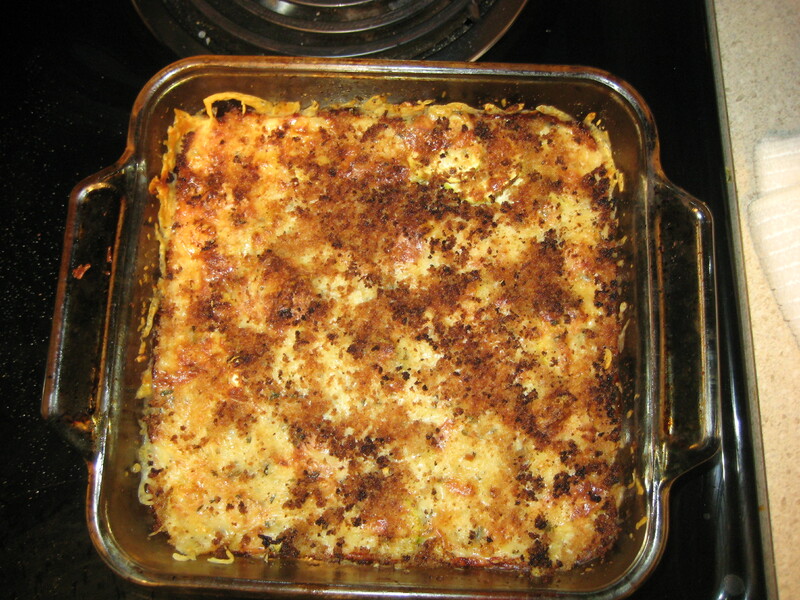 Although it sounds fancy, au gratin is basically a way of making a cheesy casserole using either a vegetable or, more commonly, potatoes. I ALMOST ruined this one by broiling the breadcrumbs too long, but I saved it just in time. I will definitely be making this dish for Thanksgiving this year! Preheat oven to 350 degrees. 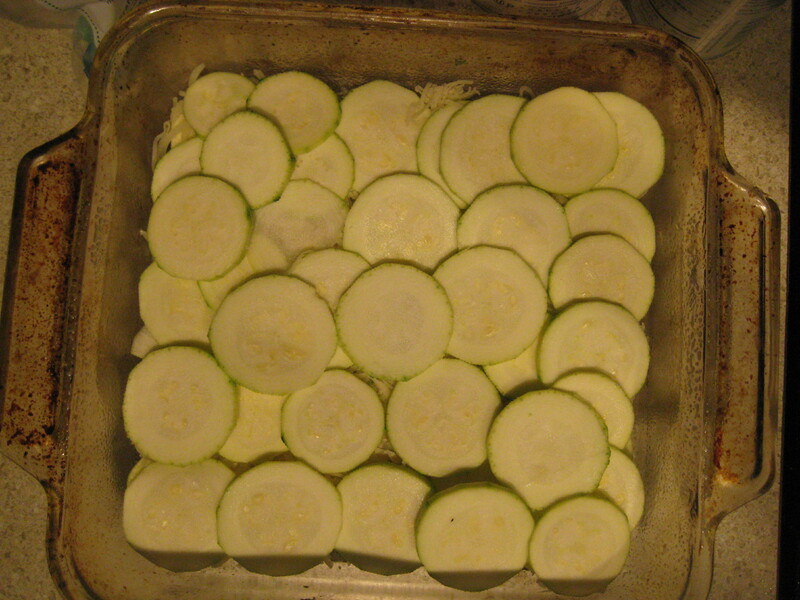 Pour one tablespoon of oil in the bottom of an 8×8 baking dish. 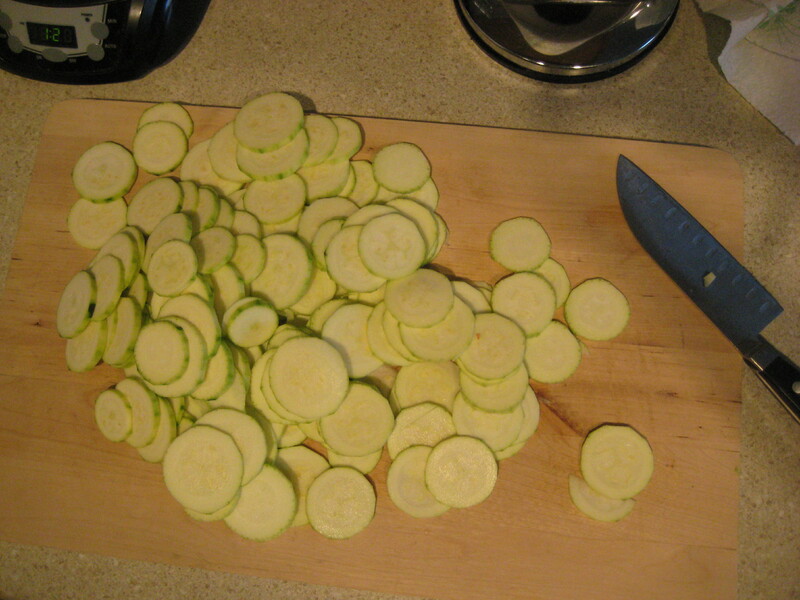 Lay down a layer of zucchini rounds. Season with 1/3 of the salt, 1/3 of the garlic powder, 1/3 of the parsley. 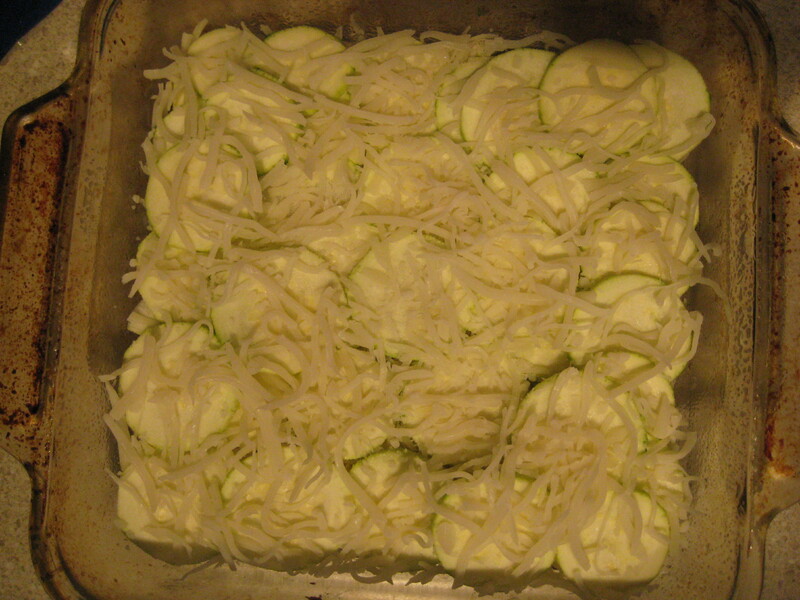 Top with 1/2 cup mozzarella, 1 tablespoon parmesan, and 1/4 cup Romano, all spread in an even layer. Repeat these steps until you have 3 layers. Mix breadcrumbs in a bowl with the remaining oil. 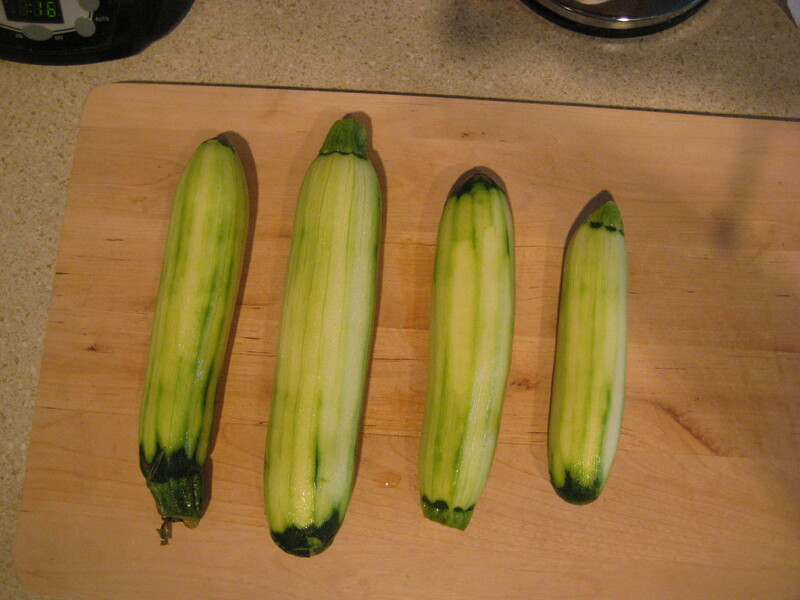 Spread on top of the last layer of zucchini. Bake for 45 minutes.